TROUBLE IN TIBET – WHICH TYPE OF FORCE CAN EVICT CHINA? Posted byWholeDude	 June 22, 2016 June 22, 2016 Leave a comment on TROUBLE IN TIBET – WHICH TYPE OF FORCE CAN EVICT CHINA? TROUBLE IN TIBET – WHICH TYPE OF FORCE CAN EVICT CHINA? 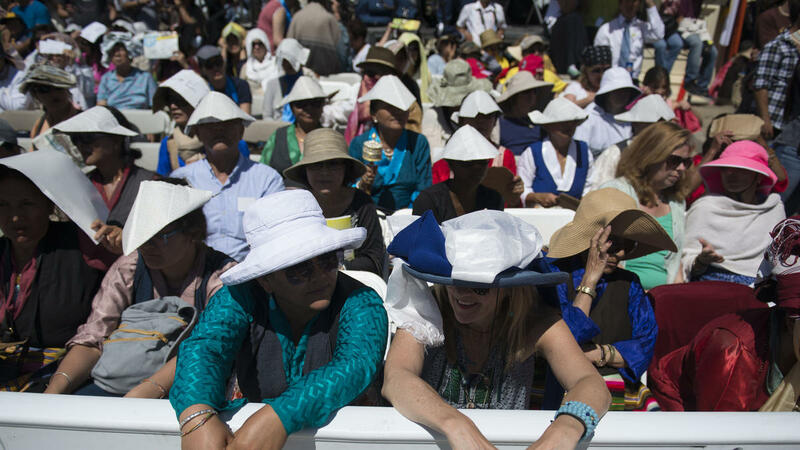 DALAI LAMA OPENS CALIFORNIA TEMPLE WITH MESSAGE OF COMPASSION. 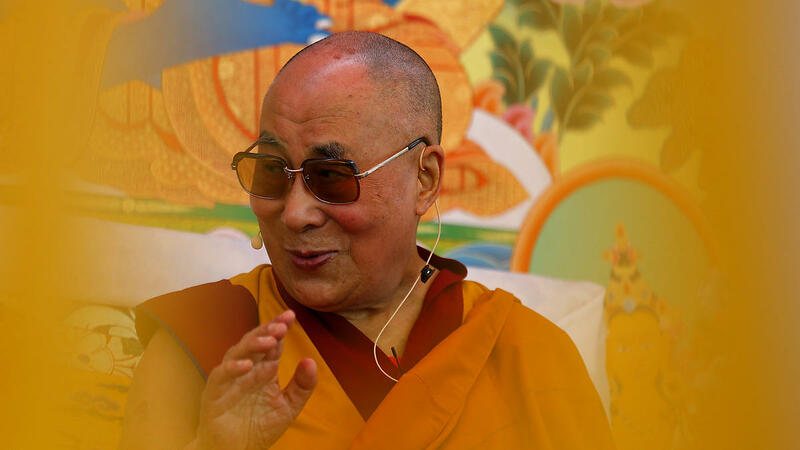 Tibetans under the Spiritual Leadership of His Holiness the Dalai Lama have shared their Road Map for Peace and Reconciliation in Occupied Tibet. However, Red China is adamantly refusing to talk to Tibetans to secure Peaceful Resolution of Conflict in Tibet. In my analysis, Compassion can act as Physical Force and evict China from Occupied Tibetan territories without causing Pain and Suffering to members of People’s Liberation Army. Compassion exerts influence in Physical World without causing injury or illness. The Dalai Lama prays at the Dieu Ngu Temple in Westminster, Calif., June 18, 2016. 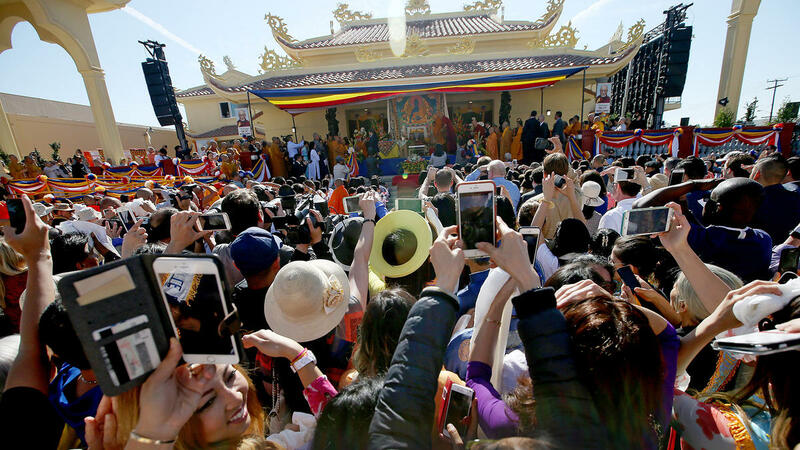 Thousands of people, many of them Buddhists who left Vietnam decades ago and came to the U.S. to live, have flocked to the Southern California neighborhood known as Little Saigon to welcome the Dalai Lama, the exiled Tibetan spiritual leader, who is dedicating a new temple there. 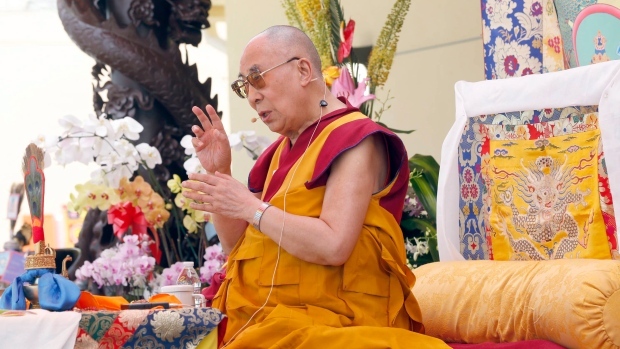 At a religious teaching session Saturday that drew many visitors, the 80-year-old Dalai Lama said the world needs more compassion in a time of violence. Thousands of people gathered outside the Dieu Ngu Temple early Saturday, waiting for the gates to open at 6 a.m. 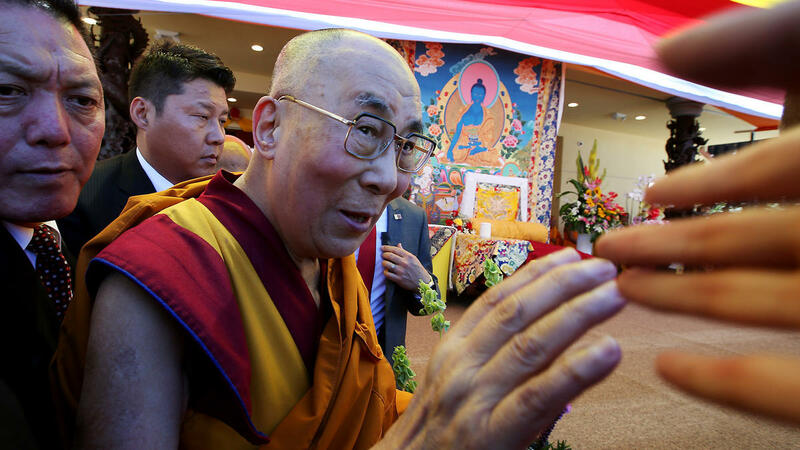 The Dalai Lama will dedicate the temple Sunday. “Just to be in the presence of the Dalai Lama is a wonderful thing,” said Wanda Matjas, one of those who turned out at dawn. 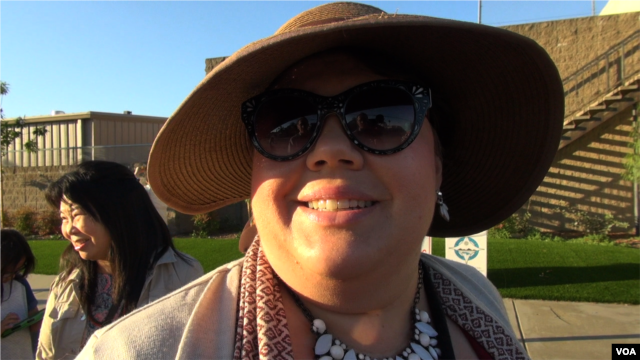 Vietnamese-American Annie Hoang said she came to hear the revered Tibetan monk’s spiritual message. 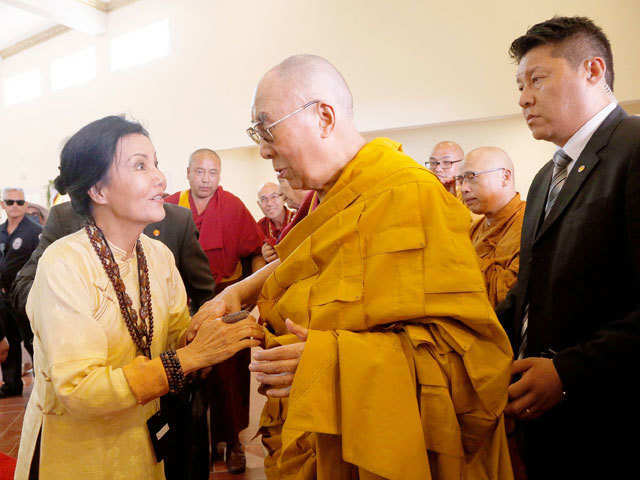 The Dalai Lama’s presence is an important boost for the Dieu Ngu Temple, a $6 million project that marks a milestone of growth for the Vietnamese Buddhist community. Vietnamese immigrants — Buddhists, Catholics and others — have built their community over the past four decades in Southern California, where they arrived in search of political and religious freedom. 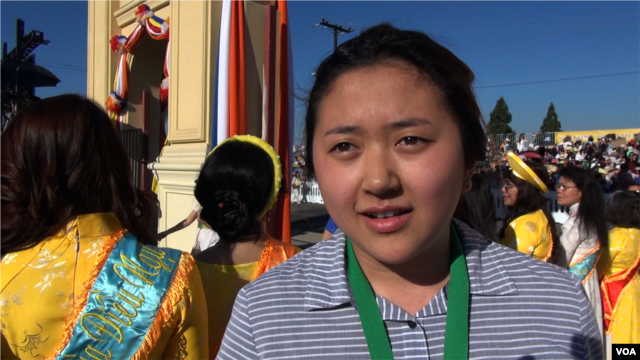 “I remember when we started building this,” Jessica Ha says of the Dieu Ngu Temple. 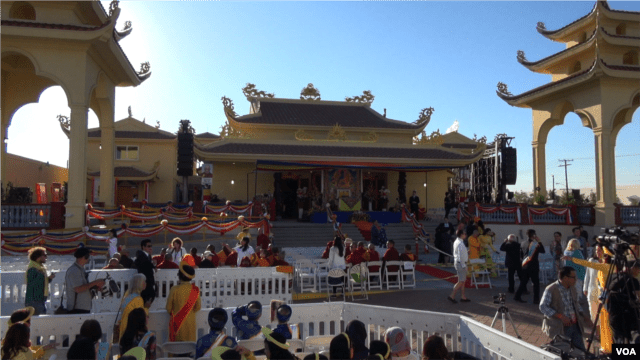 The temple was founded in a Little Saigon home in 2008 and later moved to a warehouse as it grew. 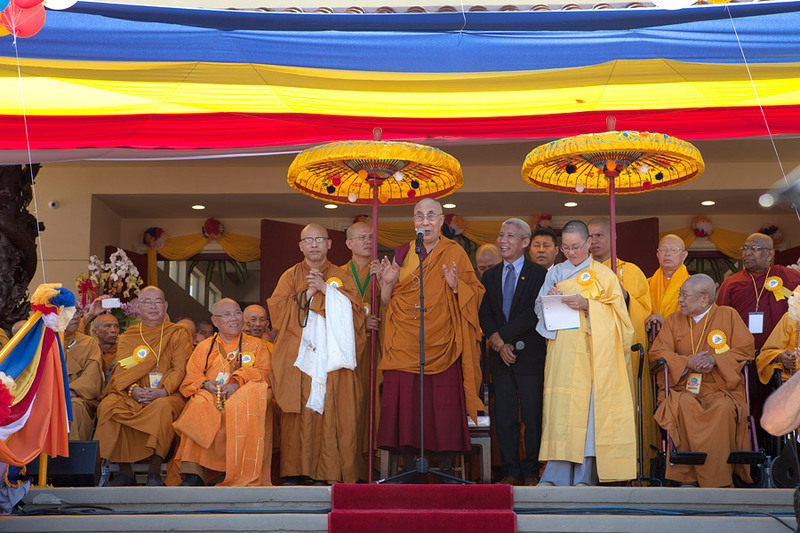 Monks and temple members spearheaded the drive to raise funds for the new structure, which features traditional architecture. The Dalai Lama always draws interest from non-Asians. 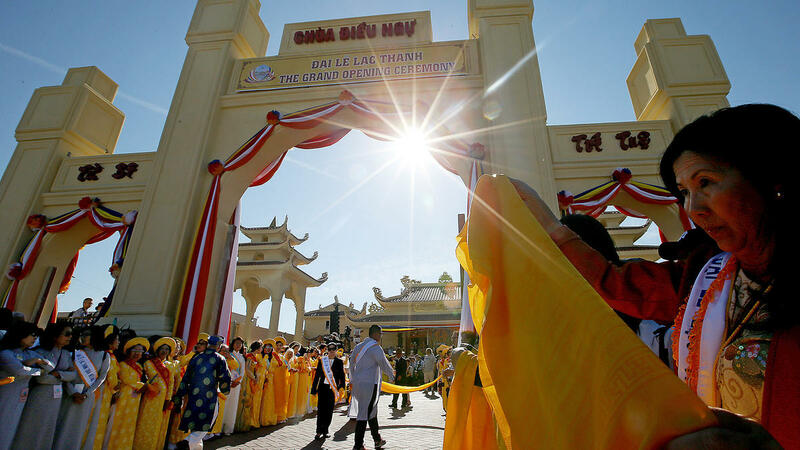 Vietnamese-American Buddhists said the Dalai Lama inspired listeners with his message, and they felt his visit also drew attention to California’s Little Saigon and its imposing new temple.